Broadway.com editors are privileged to see all the Great White Way has to offer each year, and it’s no easy task to choose five favorites among the new musicals, glittering revivals and extraordinary plays. 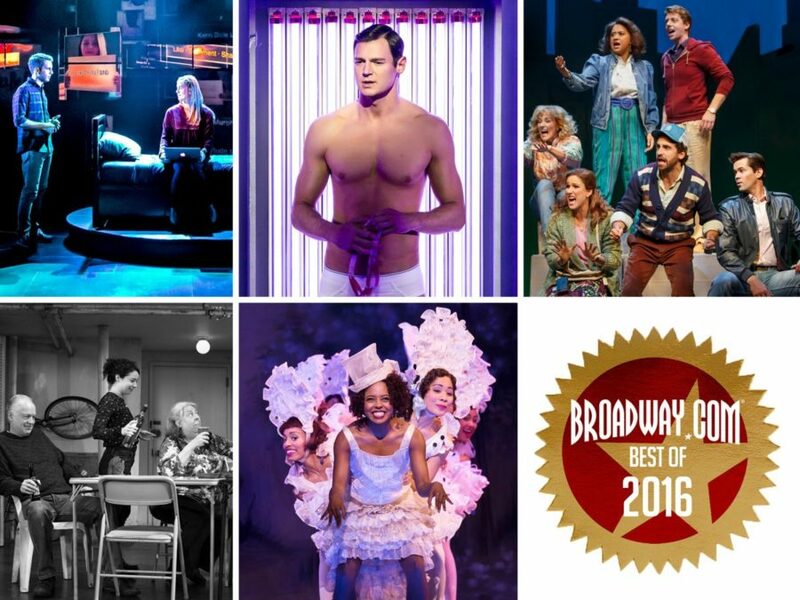 After mulling it over together, we present to you Broadway.com’s top five shows of 2016. With its brash '80s vibe and slick and sick anti-hero, American Psycho was a love-it-or-hate-it venture, but we loved it! The short-lived musical is our number five pick because, thanks to the electro score by Duncan Sheik, inventive choreography by Lynne Page and stunning directorial vision of Rupert Goold, it was one of the true artistic triumphs on Broadway this year. And as chilling Wall Street serial killer Patrick Bateman, the dashing Benjamin Walker was bloody… and bloody brilliant! Landing at number four is Shuffle Along, which tapped its way into our hearts early this year and closed far too soon. Director George C. Wolfe and choreographer Savion Glover reunited for the first time in 20 years and gifted us a thrilling musical that boasted enough star power and dynamic dancing to light up the whole city. A show about the true story of four artists who launched the first all-black romantic musical on Broadway that celebrated art, ambition and identity, Shuffle Along was tops. At three is Dear Evan Hansen, which will undoubtedly be a frontrunner at next year’s Tony Awards. After breaking audience’s hearts in DC and off-Broadway, Benj Pasek and Justin Paul’s new musical officially opened this December on the Great White Way. Directed by Michael Grief and led by Ben Platt as the titular troubled high schooler who goes viral, the tuner is a moving breath of fresh air. Our top tip if you’re heading to the Music Box Theatre? Bring tissues. Number two is Stephen Karam’s quietly devastating play The Humans. The Tony-winning hit’s compassionate look at fears, frustrations and family hit home with audiences, and even made us laugh. It’s a gorgeous work featuring a remarkable ensemble of actors, including Reed Birney and Jayne Houdyshell, who were both honored with Tony Awards for their performances. Nothing unlikely about our love for Falsettos, the best show of 2016. William Finn and James Lapine’s heartbreaker about a gay man’s quest for family and acceptance in AIDS-ravaged New York City of the 1980s only gets better with age. For this revival, original director Lapine gave the show a fresh staging and gathered a dream cast of Broadway favorites. In a fall filled with terrible news on our Facebook feeds, Falsettos was the warm hug of a show we all so desperately needed.